Trainers and facilitators usually have their own golden nuggets. These are the exercises, games, simulations, etc, that always seem to work in terms of learning and engagement. But typically they protect these nuggets and are somewhat averse to sharing them. But this book shows a generosity of spirit. There is a wonderful array of 'recipes' being shared. The simple ('entrees') to complex ('mains') provide facilitators with fresh ideas to incorporate into a range of change programmes. I think I would give a slight 'health warning' with this menu. It seems to me to be a resource for seasoned facilitators who have experience or running group experiential activities. The days get shorter and the light flees ever earlier in the afternoon. A glorious autumn paints fields vermilion and gold whilst wobbling lines of trees whistle in chorus to the north wind. We find shelter in crowded offices, classrooms or packed into commuter trains only to be squeezed out like a black blue and pink puree onto subterranean concrete conduits. While the landscape outside parades its seasonal farewell, indoors the situation can be somehow different. The year is ending and there is still so much to do. Tight deadlines seem almost impossible to achieve. With the pile of documents, mounting emails and appointments accumulating for the end of the semester, it is easy to feel overwhelmed and sometimes depressed. The tiny details, the administrative overload, oneï¿½s own volatile mood, amplified by stressful environments, all make us a bit blind to the kaleidoscopic morphogenesis of nature. 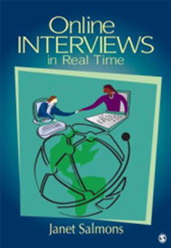 The preface of the book suggests that it is aimed at undergraduate students majoring in information systems or business/management information systems. The main problem with such titles is that they cover a wide variety depending on the HEIï¿½s definition. 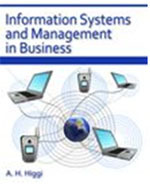 My feeling is that the book is perhaps too generic for an undergraduate on a course that resides within a Computing Faculty but is perhaps more suited to a student on a Business Studies course that requires study of the use of information systems in business and management (as is suggested by the title). Having said this it would then seem that part 4 would not be completely appropriate for such students. 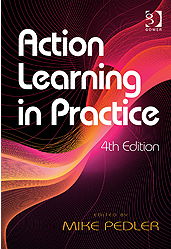 Having already reviewed Revans (2011) ï¿½ABC of Action Learningï¿½ in this journal I now have pleasure in reviewing this publication; ï¿½Action Learning in Practiceï¿½. It is pleasing to repeatedly see that authors both past and present still accord the highest regard to Revansï¿½ not only as the ï¿½father of Action Learningï¿½ but also rightful and proven appreciation that his seminal work was well ahead of its time. Perhaps now its time has come, as increasingly there is clear demand that organisations are characterised by rational and systematic action. 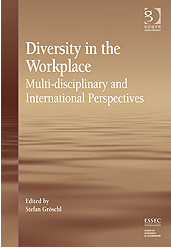 This book provides the reader with a highly comprehensive overview of the challenges and opportunities facing women in the workforce on a world-wide-basis. It is quite reasonably argued that there is a ï¿½looming crisisï¿½ in organisational leadership, with demographics and globalisation leading increasingly towards a ï¿½talent-warï¿½ on an international scale. Against such a background, there exists a continuing bias against women seeking leadership responsibilities. This results in organisations continually failing to develop all available talent, and when these organisations encounter difficulties (primarily economic) the outcomes, more often than not, bear down heavily and disproportionately on women managers. Schopenhauer described a problem hedgehogs have with each other ï¿½ they are too prickly (literally) to get too close. They canï¿½t huddle together for warmth without hurting each other. This has been compared to human relationships where people, maybe couples or teams, want to be close to one another, but somehow they canï¿½t help hurting each other. 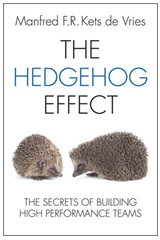 This book refers specifically to Schopenhauerï¿½s tale in that, eventually the hedgehogs learn to keep just the right distance away so that they both warm up and remain unharmed. Might this be an effective metaphor for teamwork? Just how close should or might team members get to one another? Without doubt a proven contributor to organisational effectiveness and competitive advantage is the creation and maintenance of successful teams, particularly for those organisations that do business in environments requiring high levels of collaboration. When I read with great interest our editor Caroline Bagshawï¿½s recent call for papers under the banner of ï¿½Arts in Businessï¿½ I was struck by the insightful significance of such a wide ranging and most meaningful area of enquiry/consideration. The cost to businesses of alcohol abuse at the workplace in the United Kingdom alone currently stands at circa UK pounds 2 billion per year. In purely financial terms this p requires effective redress by HR, occupational health and risk assessment managers, in addition to those involved in combatting alcohol abuse and/or addiction resulting in criminal behaviour such as theft, violence/abuse in the workplace and fraud. According to recent figures from the Health and Safety Executive (UK) 90% of HR directors from top UK organisations surveyed stated that alcohol consumption was a problem for their organisation. Most regarded alcohol as a fairly minor problem, involving a small number of employees. 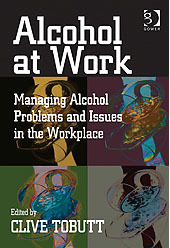 However, 17% of directors described alcohol consumption as a ï¿½major problemï¿½ for their organisation. According to Delamont et al (1997); ï¿½supervising doctoral students is one of the most satisfying things that anyone in higher education can do. Watching a new scholar become an independent researcher, conduct a project, write up the results, present them at a conference and see their first publications is a wonderful experienceï¿½ï¿½to which I would fully accord. 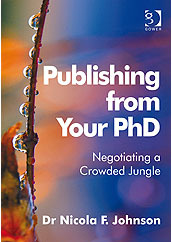 However, having supervised doctoral students for more than thirty years I am of the firm belief that students should whenever possible be actively encouraged to publish written work applicable to their research during the process of research leading up to the final compilation of the finished thesis. Despite the high degree of organisational expenditure on setting up risk processes and supporting tools and frameworks, they often ultimately fail to deliver the expected value. The inherent problem is that processes of rationality are unworkable when attempting to encourage groups to actually agree upon that which is risky, why it is risky, and importantly what to do about it. 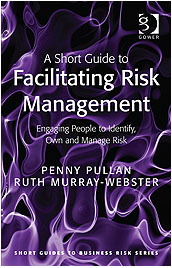 This book provides practical guidance on facilitating risk workshops, and making risk management happen outside of the workshop setting as well. The cartoons throughout work well as the emphasis is on practical guidance for getting things done without suffocating those who have to attend risk reviews. 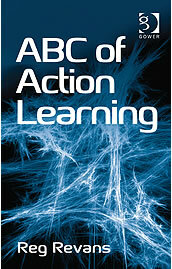 It is readily accepted that Reg Revans was beyond doubt the ï¿½father of Action Learningï¿½. Many of his early ideas were developed around learning at the National Coal Board (NCB UK) prior to him joining Manchester University and then moving to Belgium before returning to the UK in later life. His ideas on learning have since been developed further by The Revans Centre for Learning and Research at Manchester Business School and there are now Action Learning networks and associations all around the world. 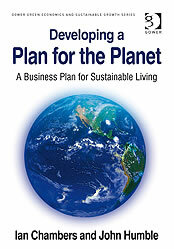 Almost 25 years have elapsed since publication of the Brundtland Report (Our Common Future), two decades post the Rio Declaration with Agenda 21 a buzz word buzzed out and this controversial subject area remains just that in its continued polarisation of opinions. Whilst much of what is written elsewhere is indeed opinion rather than substance, here is a book that deserves attention because the arguments are supported by clearly identifying data that can not only be independently checked because it is evidently set out in a tabulated form. The advantage being that it makes it possible for the reader to make eventual adjustments that will become necessary through future events and developments. As is so sadly often the case with publications of this nature, it is a book before its time that by nature of the potential cataclysms under consideration might well be lined up with respective others in ï¿½ we told you so! This first volume (Skills and Principles) of a three part series is intended to provide a comprehensive course structure and supporting materials for management trainers. 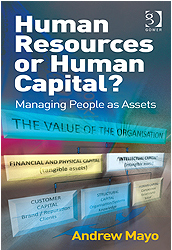 The book seeks to deliver basic management skills in contributory part of a wider project management syllabus. The book by design is both professionally and practically presented. The A4 four-hole folder provides a sufficiency of space for notes to be made in the page margins and additional loose sheets. The text is printed in a relatively large font aiding readability of both the trainer and trainee. In addition the loose-leaf binding provides repeated copying which adds significant physical life to the book on the whole. 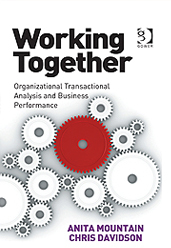 This book and Organisational Transactional Analysis (TA) in the main is quite differed from other communicative methodologies inasmuch that the focus here is based upon the assumption of wellbeing as opposed to problems. The focus being; improving upon that which is already working as opposed to what is not. The largest parts of the industrialised world are now more than ever subject to increased diversification in both populations and their respective labour markets. Whilst the cause(s) of this are multifarious there is a significance of similarity in the demands that business organisations face in light of the enhanced awareness of this Internally, In general businesses promote diversity and manage increasingly varied workforces, accommodating and integrating employees with differing values and belief systems, and thereby contest variant forms of discrimination resulting in both organisational and societal consequences. 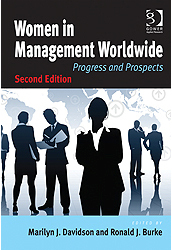 This book provides the reader with an insightful appreciation of the increased emergence of management education (principally 20th Century) in the United Kingdom. 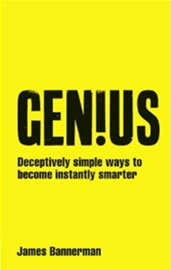 It delivers both interesting and stimulating reading to a broad-spectrum of interested parties, i.e. business practitioners, academic teachers, aspiring students and or a more generally aligned readership. Commissioned by the Association of Business Schools (ABS) it doesnï¿½t disappoint in providing an up-to-date appreciation of the historical influences contributing directly to the emergence and successful rise and rise of the business school phenomenon in the UK. It is becoming increasingly obvious that innovation is one of the most important keys to business success in the knowledge-based economy. The ever-increasing rate of technological change is resulting in shorter and shorter product cycles, which drives companies toward continuous innovation. But innovation is not something that just happens on its own. It requires special expertise, work practices and methodologies that are not yet widely adopted. Generating new ideas is difficult enough, but then choosing the ideas that are most likely to succeed is also challenging.